Give a very special “Occasion” gift! Would you like to do something special for your loved one’s birthday, anniversary, wedding, baby shower or Holiday occasion? How about something that is unique and will really make a difference? Consider making a donation to SNIP in your loved ones name. 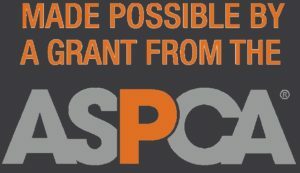 By doing so, you will help support SNIP and our mission to spay/neuter dogs and cats for individuals that otherwise would not be able to afford to do so and ultimately helping prevent unnecessary animal suffering and homelessness in the Treasure Valley. For each donation we will send a personal card to the recipient telling them that your generous donation was made on your behalf and you will receive a thank you note and a 501(c)(3) tax deductible receipt. You can give a donation in two different ways. Your gift to SNIP will help support our mission to spay/neuter dogs and cats for individuals that otherwise would not be able to afford to do so and ultimately helping prevent unnecessary animal suffering and homelessness in the Treasure Valley. A memorial gift to SNIP is a personal remembrance that honors the life of a pet, friend or relative. For each donation we will send a personal card to the recipient telling them that your generous donation was made on your behalf and you will receive a thank you note and a 501(c)(3) tax deductible receipt. You can make your donation online or through the mail. Your tax-deductible donations allow us to spay/neuter cats and dogs for individuals that otherwise would not be able to do so and ultimately helping prevent unnecessary animal suffering and homelessness in the Treasure Valley. Online: Send your donation quickly & securely online. Mail: You may use a check to donate through the mail to the SNIP Clinic address below. Please let us know how you would like your donation applied.